The winery itself is a remarkable structure. 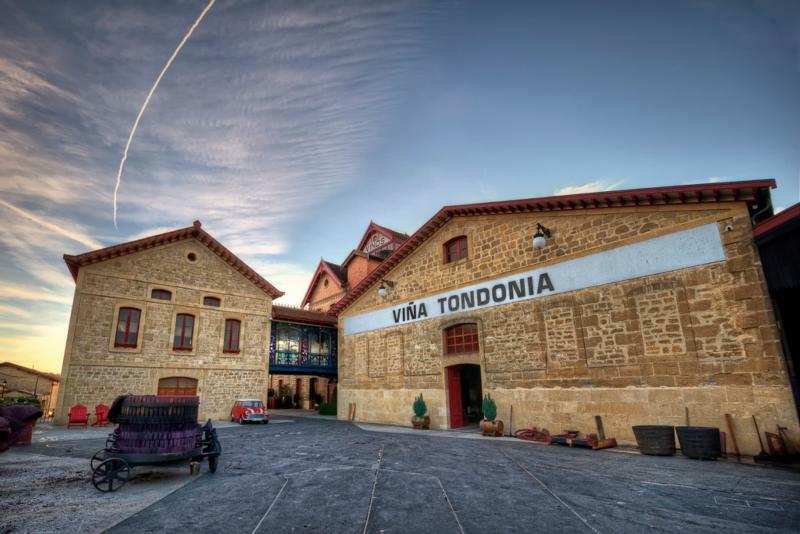 When D. Rafael López de Heredia y Landeta began building the bodega in the late 1800's, little did he realise that his masterpiece would one day be acknowledged as an example to the rest of the industry of the most perfect combination of buildings and vineyards. Like many medieval masterpieces it is still incomplete. The buildings stand below and above ground, and are a veritable "cathedral to wine". Moving through the vaulted underground corridors and staircases, you find yourself travelling back in time, and the founder's touch can still be sensed in the very stones and fabric of the building. Wine Advocate 94 "The only Gran Reserva rosé of the Rioja appellation (they were waiting for the appellation's back labels, as they have to print them especially for López de Heredia) makes a glorious comeback with the 2008 Viña Tondonia Rosado Gran Reserva, which follows the previous 2000. Wine Advocate 94 "A worthy follow up to the 2004 is the 2005 Viña Bosconia Reserva, a wine that they consider the most rustic and powerful in the winery, but that I find as elegant and subtle as it gets. This feels very much in line with the 2004, maybe a notch above even, a lower yielding year. James Suckling 95 "Ripe aromas of dried fruits, plums and prunes. Flowers too. Full body, round and ripe textured tannins. Intense and powerful fruit. Layered. Powerful style. Very long. Richer than normal due to the the hot growing seasons of 2003. Aged for six years in old American oak barrels. Wine Spectator 93 TOP 100 2009"Brioche, chamomile and dried pear flavors are rich and expressive in this polished white. Silky and fresh on the palate, with a haunting honeyed and floral finish. Best on its own, as a meditation wine. Drink now. 1,666 cases made."